Albany- Carolyn “Jean” Turner, 77, passed away peacefully on December 3, 2018. Born on January 18, 1941 in Rocky Mount, NC, she was the daughter of the late Ernest Avent and Idell Jones. Carolyn worked for many years for the NYS Department of Social Services. 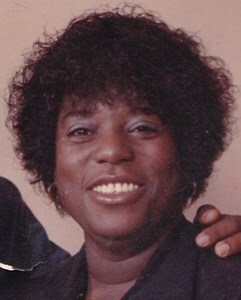 Carolyn is survived by her loving children: Willie D. Turner, Jr. and Anthony M. Turner; her beloved grandchildren: Willie D. Turner, III, Malcolm M. Turner and Marcus E. Turner; her siblings: Robert E. Jones, Charles R. Jones, Lessie (Tyrone) Shuler, Glenwood Williams and Christopher (Sylvia) Williams; and a host of relatives and friends. In keeping with Carolyn’s wishes, services will be private. For more information on services contact Willie Turner, Anthony Turner or William Hendricks. Add your memories to the guest book of Carolyn Turner. You are missed. I love you. Take your rest. I worked with Carolyn in the early 1970's at DCJS in Albany. Carolyn was one of a kind and I'm sure she will be missed. Rest in peace and my prayers are with you and your family.